Through Isaiah the prophet, God speaks of Him who is to come, a Rod, a Branch. Of this Rod, of this Branch, the prophets of Old foretold. He would come. Not at man’s time. Not according to people’s expectation. At the set time that God Himself determined, so His arrival would be. “When the fullness of the time had come, God sent forth His Son, born of a woman, born under the law, to redeem those who were under the law, that we might receive the adoption as sons” (Gal. 4:4-5). This Rod, this Branch of Jesse, was Christ, Son of David, rightful heir of the heavenly throne and only begotten Son of God. Believing in this One is to believe also “in Him who sent” Him (John 13:20). Jesus came to save sinners. According to His Name, so He did, so He does. Dying on the cross, His blood cleanses you from all sin, every one of them (1 John 1:8-9). With righteous judgment He judges, not according to sight, but in truth. By means of the Law, He condemns sin. By means of Gospel, He forgives, saves, and delivers from sin, death, and hell. This One who came to save, and still does, will come again, too. On the last day, this One will appear fully in His glory. We, His people, will rejoice, for with righteousness He judges, and before Him, in His righteousness, we stand, through faith. Amen. Prayer: Heavenly Father, during this Holy season of Advent, direct our eyes ever to Your Son Who is coming again. Keep us from longing for things temporal, lest we lose the things eternal. Help us to set our minds on things above, not on things of the earth, for we have been raised with Christ. Amen. Church bodies number the commandments differently. Though they still number them as ten, they do so in a different manner. The passage above, from Exodus 20:4-5, Lutherans and Roman Catholics include as part of the First Commandment. Others number it as part of the Second Commandment, that of forbidding the making of idols. The Israelites made an idol of a golden calf while Moses was on Mt. Sinai, even as God was giving the Ten Commandments (Exodus 32:1-6). The Israelites were certainly worshiping an idol, that which was not God. Instructive are the words of Luther from his Large Catechism. The people of Israel placed their confidence and trust in something which was not God. That something which was not God, or a false god, was nothing other than an idol. Things become idols (money, power, people, etc.) when confidence and trust is placed in them rather than the Creator. But where confidence and trust is placed in the true God, those same things are not idols. To worship anyone or anything instead of or in place of the true God, the God who reveals Himself in the Bible in the person of Jesus Christ, worships a false God, and therefore, worships an idol, whether that false god be a carved image or not. Only in the God who makes Himself known through Christ, who was “born of a virgin, suffered, was crucified, died, and was buried” and who rose on the third day do you worship the true God. Only through Him do you have sins forgiven and true and everlasting peace. All other so-called “gods” are not gods, and do not give that peace which the Lord Jesus alone gives. Worship that is substantive is not worship invented by man, nor worship in what is invented by man, but that which is given and revealed by God—through His Son, Jesus the Savior. Amen. Prayer: Father, keep me from fearing, loving, and trusting in anyone or anything above you. Amen. Jesus is risen, as He said. These words bring joy to the ear this morning and always. These words we cannot pass over. He is risen. He is risen indeed. Alleluia! The great joy of those women who heard the words of God’s messenger that morning and did not see our Lord in the tomb is also our own. By God’s inspired Word, we know that our Redeemer lives. Christ is victorious over the grave. 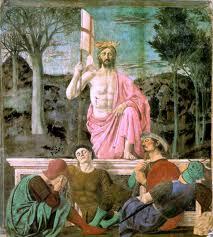 He who had authority to lay down His life also had authority to take it up again (John 10: 15, 17, 18). This Jesus did on the Third day, the very day that He rose bodily from the dead. We are not here speaking of some spirit who now lives, as if the body of Christ remained in decay. Christ in His body is living. “If Christ is not risen, then our preaching is empty and your faith is also empty. Yes, and we are found false witnesses of God, because we have testified of God that He raised up Christ, whom He did not raise up — if in fact the dead do not rise. For if the dead do not rise, then Christ is not risen. And if Christ is not risen, your faith is futile; you are still in your sins! Then also those who have fallen asleep in Christ have perished. If in this life only we have hope in Christ, we are of all men the most pitiable.” (1 Corinthians 15:14-17). Sin is real. It is doing what God does not command and not doing what He does command. Death too is real. It is a consequence of sin. Sin brings about physical death, of which we all must face, sooner or later. It also brings about eternal death, unless there be salvation from Another who has overcome sin and death. This is what Christ did by His resurrection. His resurrection testifies to the truth that death is powerless against the Lord Christ. So too is eternal death powerless against the Lord’s brethren, who we are, through faith in His blessed Word. The death of Christ was real. On the cross Jesus did die. His resurrection is just as real and true. This is how you know that Jesus truly keeps His Word. The Lord’s resurrection also means your resurrection. Christ being raised from the dead means your rising from the dead, not only from the deadness of your sin to new life now by faith, but also when our Lord returns. His resurrection means the same for you. In another place, Paul writes, “We shall not all sleep, but we shall all be changed — in a moment, in the twinkling of an eye, at the last trumpet. For the trumpet will sound, and the dead will be raised incorruptible, and we shall be changed. For this corruptible must put on incorruption, and this mortal must put on immortality.” (1 Corinthians 15:51-53). Jesus Himself says, “The hour is coming in which all who are in the graves will hear His voice and come forth — those who have done good, to the resurrection of life, and those who have done evil, to the resurrection of condemnation” (John 5:28-29). Here, our Lord makes distinction. Scripture teaches that all will rise from the dead, both believers in Christ and nonbelievers. But only those who have done good, only those who have faith in Christ’s goodness, forsaking their own, only these will be with the Father unto all eternity. On the other hand, those who have done evil, those who do evil by not taking Christ’s Word and work as their own, these will rise to eternal death. Having not believed the promises of the Lord while in the world, these will receive the due reward for their unbelief. But those who do believe the promises of God, though they not see them fulfilled here and now, these “Will receive the crown of life which the Lord has promised to those who love Him” (James 1:12). As for Jesus only spiritually rising from the dead and not bodily, which some contend happened, Jesus ate and drank after being raised. A spirit does not eat or drink. But Jesus did these very things, right in front the disciples. From the virgin birth to Christ’s bodily resurrection, and from the creation of the world to the Lord’s glorious return on judgment day, do not trust what you think or what reason tells you to be so. Trust in the Lord and what He says. There will you find Jesus living and dying, and rising and ascending, for you. What God declares to be so in His Word is for your salvation. It is not just for anyone and everyone. It is for you. Believing that the Bible is true is a good thing. Believing that there is a god is good thing. But ‘a god’ doesn’t save. The God of salvation is knowable. Unless the God of Scripture, even Father, Son, and Holy Spirit, is your God, all the believing in the world will not help you. Christ did die and He did rise from the dead. But His death and resurrection will not save you unless it is also yours. By means of His own death, Jesus Christ put your sin to death. Jesus left your sin for dead on Mt. Calvary, but on the third day, His body was not in the tomb. If you wish to carry your own sin and have it your way, Christ’s death and resurrection does not profit you. You will bear your own load and come the judgment, the penalty for your sin will be yours and yours alone. But in Christ, your sin is gone forever and God does not count your daily sins against you. In Christ, your sin is forgiven. Lay your sins on Him, therefore, and receive His forgiveness. Believe the heavenly Word of grace, mercy, and peace. In Christ, these are yours. Our Lord does not lie. What He says is true and truly will come to pass. Christ’s resurrection bears witness and sure testimony that He fulfills and will fulfill, and does and will do, all that He says. Just as Christ had said, He rose from the dead. Before that Good Friday, Jesus declared to His disciples, “Behold, we are going up to Jerusalem, and the Son of Man will be betrayed to the chief priests and to the scribes; and they will condemn Him to death, and deliver Him to the Gentiles to mock and to scourge and to crucify. And the third day He will rise again” (Matthew 20:18-19). A few other times, too, Jesus spoke of what would soon come to pass. And it did. Jesus Christ, alive from the dead forevermore, is your surety and guarantee of what is to come, not only later, but even now, as you hear Christ’s Word preached, eat and drink His body and blood, and receive His blessing. The joy of Christ’s gifts are yours. Christ is risen, just as He said. Your Redeemer lives. Jesus Christ is risen today. Alleluia! Amen. It is not of the Gospel to be unsure or uncertain of God’s grace and favor in Jesus Christ. The grace of God in Christ, without a doubt, is of faith, according to the Lord’s Word. In this, such faith is sure and will die a thousand deaths. He’s right, and such humility is encouraging, and true. These latter words, “Well done, thou good and faithful servant,” are words from Holy Scripture (Matthew 25:21, 23; Luke 19:17), and in Christ, because of Christ, the Christian has the certainty that these words will certainly be said of him. I pray that his answer had changed since that 1992 interview. Graham’s statement, “I’m not sure I’m going to hear” those words, “Well done, thou good and faithful servant” convey, not sure faith in the Lord’s promise s, but rather, wavering confidence and doubt, which is not of faith. Certainty of faith does not come from what “we” think or what we “want,” but alone from God’s grace in Christ according to God’s revealed Word. By this, Christians know God’s love in Christ, are sure of heaven, and are certain of God’s favor. In the Formula of Concord, it is stated, “6. We believe, teach, and confess that many weaknesses and defects cling to the true believers and truly regenerate, even up to the day they are buried [1 John 1:8]. Still, they must not on that account doubt either their righteousness, which has been credited to them through faith, or the salvation of their souls. They must regard it as certain that for Christ’s sake, according to the promise and ‹immovable› Word of the Holy Gospel, they have a gracious God. (McCain, The Lutheran Confessions, Formula of Concord, Epitome, III. The Righteousness of Faith, 481). Why had Graham voiced uncertainty with regard to what God would say of him in that interview when such a promise of God is made in Christ? Graham seemed to be sure of being unsure. A theology like this centers on something other than Christ and His Word, despite their uses and references. Because of this, the conclusion is not the hope that the Bible gives, but whatever the person engenders, which can and will not be assertive before God of God’s undeserved forgiveness and His unmerited kindness. Yet, God gives certainty. This is the fruit of God-given faith. It is therefore necessary to make distinctions between that which is, and that which is not, of God. Not all get Jesus right and have full confidence in Him, because not all abide by the Word alone concerning Christ the Savior and His salvation. When Peter said of Jesus, “You are the Christ,” he was of course stating the truth, the truth that he hadn’t come up with himself, but the truth that had been revealed to Him by the heavenly Father. Not one of disciples could come to this confession of the Christ on his own. And no one can come to faith in Christ on his own. It is for this reason that Jesus had said in St. Matthew’s Gospel, “Blessed are you, Simon Bar-Jonah, for flesh and blood has not revealed this to you, but My Father who is in heaven” (Matthew 16:17). Flesh and blood cannot make out who Jesus is on its own, for “The natural man does not receive the things of the Spirit of God, for they are foolishness to him; nor can he know them, because they are spiritually discerned” (1 Corinthians 2:14). Man, by himself, cannot know God as He is. He knows that there is a God, but he does not know, nor can he know, who that God is unless God reveal Himself. This is why St. Paul can say in another place that “The message of the cross is foolishness to those who are perishing” (1 Corinthians 1:18). It was by means of Jesus’ Word that Peter confessed Jesus to be the Christ, because the Word of Jesus is the Word of the Father in Heaven. To hear Jesus is to hear the Father. To dismiss Jesus’ Word is to reject God’s Word. To want a Christ apart from the Word is to have a different Jesus. That’s where Peter went wrong in our text. Peter wanted a Savior who wouldn’t suffer, who wouldn’t be rejected, who wouldn’t be killed. Apart from God’s revelation, we, like Peter, want our own kind of god and savior. Apart from the Bible, man makes his own god. As a result, he makes his own Jesus, not one who suffers and dies, but one who abides by the will of sinful man and follows the dictates of own heart. The Jesus of one’s own making does not save. He is an extension of man’s own wickedness. The Jesus of Scripture is not this way. The Jesus of the Bible is not He who would be rebuked by Peter for telling the truth. The Jesus of the Bible is He who would rebuke Peter and who rebukes all who would have their own Jesus and their own god and not the one of the Bible. There is no other Jesus than the one who was bloodied by the scourging, who wore the crown of thorns, who suffered miserably, and who died so ingloriously. There is no other Jesus who conquered sin and death by means of His own death. There is no other Jesus who humbled Himself as man in flesh and blood, though He Himself is One with Father (Philippians 2:8; John 10:30). There is no other Jesus than He who was sent of God, who was rejected by men and still is rejected by men who don’t want to hear, because they refuse to believe what He says that they may have life and peace with God. 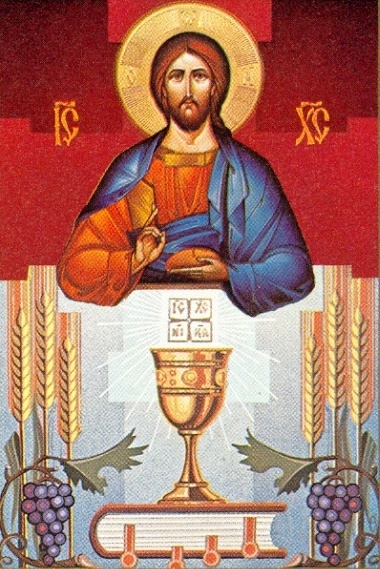 Just as there is no other Jesus than He who gave Himself for you and even He who gives Himself to you by means of His Word and body and blood in the Lord’s Supper for the forgiveness of your sins, so there is no other life of the Christian than coming after Jesus, denying self, taking up the cross, and following Him. All who would go their own way bear the name of Christian in name only. This is the easier way, for “Wide is the gate and broad is the way that leads to destruction, and there are many who go in by it. Because narrow is the gate and difficult is the way which leads to life, and there are few who find it” (Matt. 7:13-14 NKJ). The way of the Christian is different. With Paul, the Christian also confesses, “What things were gain to me, these I have counted loss for Christ. Yet indeed I also count all things loss for the excellence of the knowledge of Christ Jesus my Lord, for whom I have suffered the loss of all things, and count them as rubbish, that I may gain Christ and be found in Him, not having my own righteousness, which is from the law, but that which is through faith in Christ, the righteousness which is from God by faith; that I may know Him and the power of His resurrection, and the fellowship of His sufferings, being conformed to His death” (Philippians 3:7-10). 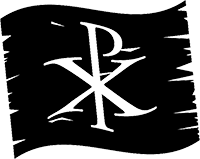 The way of the Christian is the life of the cross. It is the way of death, not only of Christ’s death, but of one’s own—dying to sin, crucifying the sinful flesh and desires and lusts which war against the soul, and seeking help and salvation in Christ alone, casting aside lady reason and man pride; having nothing to give but only everything to be given on account of the real Jesus who suffered and died; the real Jesus then, and the real Jesus now, whose Gospel word is life, lasting life. Amen. Prayer: Heavenly Father, aid me in putting to death my sinful flesh, denying myself, taking up my cross, and following Jesus according to His Word. Amen. Today’s text from St. Matthew gives us opportunity to talk about such things the when of our Lord’s Coming, and to clarify what God reveals from what He has not. As to the when of Christ’s Advent, Jesus doesn’t give us the time or day when He will return. But this hasn’t stopped some from trying. 1843/1844: Mr. Miller (Adventist movement) Mr. Miller, from whom the Adventist movement originated, calculated the date of 1843 or 1844, when the “cleansing of the entire earth” would take place. 1847: Charles Russell (Jehovah’s Witnesses); Charles T. Russell, influenced by the Adventists, calculated the date of 1847 as the date which Christ invisibly returned. Our Lord binds us to His Word and to nowhere else. In this Word, He reveals Jesus—the Word become flesh (John 1:14)—to be our Savior. God doesn’t answer all of our questions or satisfy our curiosity, but what He does give us is sufficient for our salvation. Let the Words of the Lord stand on their own. Do not add to them or subtract from them. Doing either is to make yourself the master of the Biblical text and the Biblical text your servant (see Proverbs 30:5-6; Revelation 22:18-19). 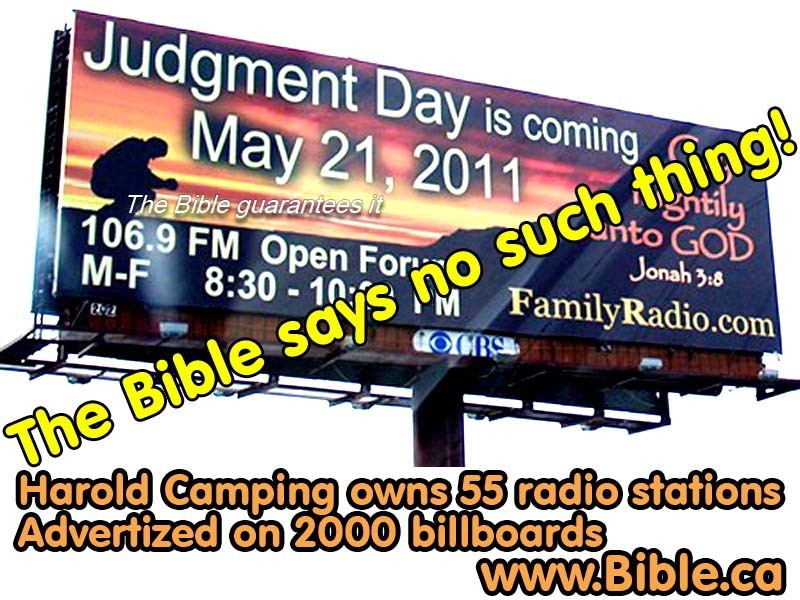 This is nothing but usurping God and His Word according to arrogance and pride. It is presumptuous of sinners to think that they know better than God Himself, or to think that they can figure out knowledge that God has denied us, like the particular day of Christ’s coming. 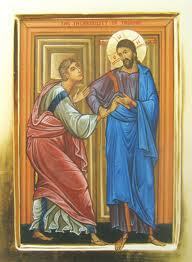 St. Paul writes, “We then, as workers together with Him also plead with you not to receive the grace of God in vain. For He says: “In an acceptable time I have heard you, And in the day of salvation I have helped you.” Behold, now is the accepted time; behold, now is the day of salvation” (2 Corinthians 6:1-2). We ought not be like the five foolish virgins who did not have enough oil when the bridegroom arrived (Matthew 25:2). Nor ought we to be as those who squander what they’ve been given because of false notion that things will always remain as they are. A day of reckoning is soon approaching, and woe to those who aren’t prepared for it, who procrastinate in their belief that they have time to spare, that God’s Word can wait, and that when the day does arrive, they’ll prepare what needs to be done. 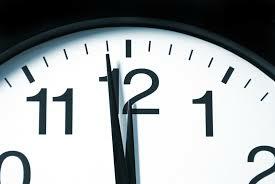 How easy it would be if the Lord did give us the time and the date of His arrival. Like the approaching day of Christmas, we could buy gifts for Him, put on our best behavior, set everything in order. If we knew the when of Christ’s return, we could really put on our Sunday best, reconcile with our enemies and those who trouble us and those by whom we are troubled. We could forgive others their debts and sins against us, give up our grudges and discontentments before He comes, because we would know when the Lord is coming. We could do good to others, without any hope for thanks or appreciation in return, and be content with the promises of our Lord. We could do what is right and not worry about what the result might or might not be, because we would know that the result of Christ’s death, our sins taken care of, means eternal life, which we would enjoy first hand at the return of the Lord. We would know that the troubles in this life are almost done and nothing but joy and bliss and heaven await us. The thing is, we do know – not the exact time, but how the Lord would have us be even now. We have Jesus’ Word, that we be ready now, today. He is coming, at an hour and in a day which we do not expect. God is the kind of God that speaks to you in your ears that you hear and trust His Word to you as He speaks it. He speaks to you of your distractions from hearing His Word and following what He says that you turn from these things and look to Jesus for mercy and help and hope. He reveals to you your sin that you see clearly your Savior, He who is coming again, that you be ready and waiting when He does return. Therefore, arise from your sleep and your slumber, your laziness and your misguided assumptions. “Lift up your heads.” Your “redemption” is drawing nigh (Psalm 24:7, 9; Luke 21:28). Believe now what your Lord says. Take His Word preached to you and spoken to you as from God Himself. Don’t doubt, but take it to heart. Take Him at His Word—at this moment—and everyday of your life. Do not doubt the Lord’s kindness to you in Jesus Christ, who on the cross shed His blood in sacrifice for you that you be found clean before the Father. Hold as your own the forgiveness of your sins given to you in the bread and wine of the Lord’s Supper, for there, Christ gives His true body and His true blood for you to eat and to drink for your salvation. On the cross, Jesus finished all that was needed for your salvation, and in Him, you are ready for His return. Being baptized into the Name of the Triune God and believing His grace to you by such means as water and word, you are His, having been washed clean of all your sin. Having been baptized, no longer live for yourselves, but to God—and for others, thinking not first for yourselves, but the needs of your neighbor. Love God and love your neighbor, attend to what the Lord says and serve those in need around you. Don’t wait for a better time. Do it now. Don’t wait for a later time to do what is to be done today, but do it today, while it’s still today and before the night comes (John 9:5). Being ready for the Lord’s return does not mean doing all the right things, but believing rightly, believing rightly in Him who alone saves you from your distractions and procrastinations, from the world’s pull, and from your fleshly wants and desires. Being ready has to do with believing He who did all the right things for you that you live, and that none of your wrong things can separate you from God (Romans 8). Thus being reading and prepared, so you will be busy and active in love, waiting expectantly for the Lord’s return. Being ready doesn’t mean neglecting what God would have you do, but doing it all the more zealously (2 Peter 3:10-15). Being ready, being prepared, being watchful for the Lord’s return means being in the state of readiness, like the soldier on the battlefield or the sprinter ready to run or the family waiting for the guests to arrive at any time. We should learn to bring our eyes, our hearts, and souls to bear upon yonder life in heaven and in a lively hope await it with joy. For if we would be Christians, the ultimate objects of our quest should not be marrying, giving in marriage, buying, selling, planting, building—activities that Christ says (Matt. 24:37ff; Luke 17:26ff.) the wicked will be engaged in especially before the Last Day. To be sure, we, too, must use these things in order to satisfy the needs of the body. But our ultimate quest should be something better and higher: the blessed inheritance in heaven that does not pass away. J.L. Neve, Churches and Sects of Christendom, (Blaire, Nebraska: Lutheran Publishing House, 1944), 461. F.E. Mayer, Religious Bodies of America, (St. Louis: CPH, 1961), 474. Ewald Plass, What Luther Says, (St. Louis: CPH, 1959), 619. Dear Family, friends, and loved ones. The words of the Lord that draw our attention this day are those from 1 Thessalonians chapter 4, read just a few moments ago, where Paul, an apostle of the Lord Jesus, writes of those who have died in the faith of the Lord Jesus Christ, of those who have fallen asleep. Here, he encourages Christians of their hope, even in the midst of sorrow and grief, that they do not sorrow and grieve as others do who have no hope. Christians have such hope on account of Christ’s death and resurrection. 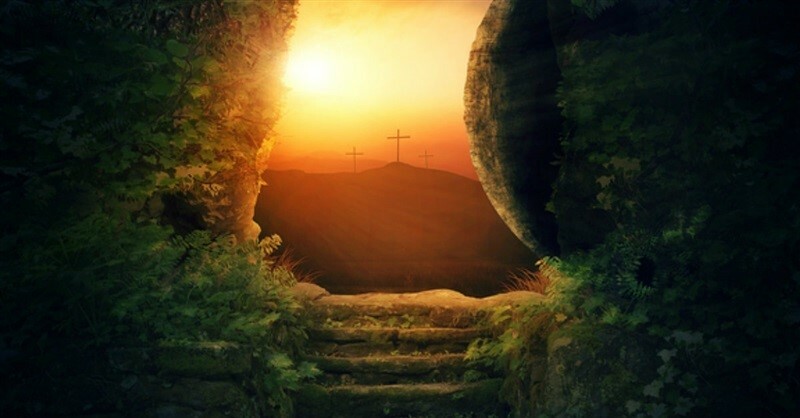 Because Jesus rose from the dead, so too do those who sorrow have confidence that the deceased in the Lord will also, with Christ, rise from the dead when Jesus comes again. I was able to share these encouraging words from Thessalonians with the V. before he went into the hospital. We were talking about All Saints’ Day and how the word “saint” includes believers in Christ who continue to struggle with their sin, as well as those whose race has been won, who now rest from their labors, and enjoy God’s presence apart from sin. On that day, V. was missing G. greatly. He was grieving her death and longed for her presence. Even as he grieved, sorrowed, and perhaps felt lonely, it is just in that place that the news of Christ’s resurrection, that death does not have the last word, also for us, takes root and gives comfort. Like rays of light breaking through the darkness, not a “quick fix,” here the moment, gone the next, but a sure Word from the Lord, the resurrection sustains and strengthens. It gives the certainty of God’s favor. Through the good days and the days of trouble, which both come, Jesus is our hope and our peace. V.’s struggle is now over. No more visits to the doctor. No more disappointments about possible remedies. No more contending with his own sins or the sins of others. V. is at peace. We can be sure of this, not because of how good V. was in life, but because of the promises of God in Christ, which V. believed. V. confessed and did not deny what Christians everywhere confess and do not deny, that he was a sinner, a sinner before a just God, a sinner who does not deserve God’s kindness, but rather, his condemnation. V. confessed this, as all Christians will do. The Bible teaches that we are not as God wants us to be. V. understood this. He also believed that our keeping of the Law doesn’t save. Jesus does, Jesus, and Jesus alone. “There is salvation in no other, for there is no other name under heaven given among men by which we must be saved” (Acts 4:12, NKJ). Though we are not perfect and holy, Jesus was. He had not come “To destroy the Law or the Prophets” but “to fulfill” them (Matt. 5:17, NKJ). He did not do these things because He needed to do them for Himself. He fulfilled them for us, as our proxy, our substitute, in order that we not be judged as guilty, but innocent before our Creator. And this we are, Jesus Christ having died our death on the cross and being raised on the third day. V. believed these words, confessing them to be so. This is what Christians do. Words have meaning. It is with confidence that the Christian can say and does say, “I am Christ’s and He is mine.” Even in the midst of death, the Christian is sure and certain of the resurrection to come. Before us is V.’s body in the casket. His death we cannot deny. It is a consequence of the Fall (Genesis 3). Before the first sin, all was good, “very good” and there was no death, only life (Genesis 1:31). Now, there is death. The troubles that we face in the world, the unrest, the struggles, sicknesses, death—all these are the effects of sin. They show us that the world is not as it’s supposed to be, that something is not right. As much as we might try to “fix” it or find ways to avoid the inevitable, we will always fall short. Salvation doesn’t rest with us. It comes from God through His Son. Try to go another way and you will only deceive yourself. The Psalmist says, “What man can live and not see death? Can he deliver his life from the power of the grave?” (Ps. 89:48 NKJ). The answer to the first question is “none,” and “no” to the second. Today reminds us of our own mortality, a truth that we are not able to escape. You can run, but you can’t hide. We have our limits, and running from the truth is one of them. We can only do so for so long. It will catch up with us. This is why today is not a “celebration of” V.’s “life.” For V. and his 94 years , we do indeed give thanks. These are blessed gifts of God, not at all to be despised or taken for granted. Today is, though, the recognition that life in this world has an end. We might not want it to be so, but such is the way that it is. But as Paul the apostle reminds us, this day is not only one of grief and sorrow. 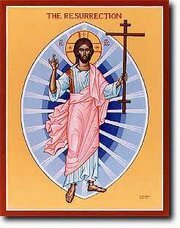 It is also a day of hope and confidence, not in the life that V. had lived, but in the life that Christ Jesus had lived, for V. and for you, and the death that He died, for V. and for you, and the resurrection on the third day, for V. and for you. We also have confidence and hope this day concerning V.’s body. In time to come, just as God has said, so it will be, “The dead in Christ will rise” (1 Thessalonians 4:17). Even as the Holy Scriptures reveal that Jesus rose from the dead on day three following His death by crucifixion on Good Friday, so too will those who have died in Christ also rise from the dead, dead no more. Jesus said, “I am the resurrection and the life. He who believes in Me, though he may die, he shall live. And whoever lives and believes in Me shall never die” (Jn. 11:25 NKJ). The “die” in “never die” that Jesus speaks about is eternal death, hell. Like the resurrection, many deny this teaching, too. Jesus didn’t. He speaks the truth, because He is the Truth, the Truth through whom one comes to the Heavenly Father and lives (John 14:6). “Whoever lives and believes in Me”, Jesus says, will never suffer eternal death. “Though he may” physically “die, he shall live.” These are the very promises of God’s Son, Savior, and these are for you. V. believed these words, too. He believed that death does not have the last word. Christ has conquered death. Jesus has overcome the grave. The last word is not death and hell, but life and heaven. In the resurrection, “When this corruptible has put on incorruption, and this mortal has put on immortality, then shall be brought to pass the saying that is written: ‘Death is swallowed up in victory.‘ ‘O Death, where is your sting? O Hades, where is your victory?‘ The sting of death is sin, and the strength of sin is the law. But thanks be to God, who gives us the victory through our Lord Jesus Christ” (1 Cor. 15:54-57 NKJ). Even as you did so much for V. in caring for him to the end, so the Lord took care of his greatest need—“Peace with God” (Romans 5:1). And this peace, V. had, in Christ. This peace is also yours, in Christ, resting on and in Him who “was crucified, died, and buried,” who rose from the dead, and who lives and reigns to all eternity. Because of Him, your death, too, will not have the last word. You have no need to fear it, because the death of Jesus means that your sin no longer has the final say. “If God is for us, who can be against us? He who did not spare His own Son, but delivered Him up for us all, how shall He not with Him also freely give us all things? Who shall bring a charge against God’s elect? It is God who justifies. Who is he who condemns? It is Christ who died, and furthermore is also risen…Who shall separate us from the love of Christ? (Romans 8:31-35) And the answer—No one and nothing! (Romans 8:38-39). Do not grieve as those who have no hope. The hope of the world is fading and will not last. Lasting hope and true comfort that remains is that which God promises through His Son. Amen. In the Holy Name of the risen Christ. Amen. This encouragement to pray is a good thing. In fact, God commands prayer (the Second Commandment). Not praying, therefore, is a sin. Praying for the nation in which we live is also a good thing (1 Timothy 2:1-4). Prayer for ourselves and for others, as well as for our nation, is indeed “good” and “pleasing in the sight of God our Savior.” God promises to hear prayer, as revealed through the Psalmist, “Call upon me in the day of trouble; I will deliver you, and you shall glorify me (Psalm 50:15). Thus, not only does God command prayer. He also promises to hear prayer (Read the Introduction to the Lord’s Prayer in Luther’s Large Catechism). The command and the promise of prayer move the Christian to pray, and so His people do pray, even “without ceasing” (1 Thessalonians 5:17). 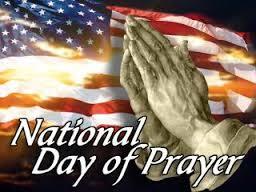 Yet, the National Day of Prayer task force and the annual observance do not make the distinctions that God does. They lump people of all faiths together, as if all prayer of all people are acceptable to God, and therefore, heard by Him. Nevertheless, God does not hear the prayers of all people, as recorded in the Proverb text above. 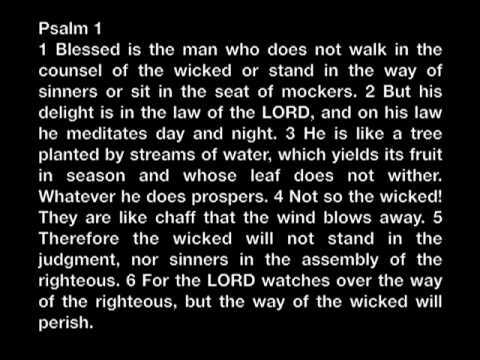 The Psalmist, too, exalts this truth by saying, “The LORD knows the way of the righteous, but the way of the wicked will perish” (Psalm 1:6). The righteous are they who look to God for mercy in Christ, who repent of their sin, who seek salvation from Christ alone, recognizing their dependency on the Lord for help and deliverance from sin and death. These are they who have faith, and only these have the certainty of God’s hearing and help (Hebrews 11:6; Luke 17:5-10; 1 John 5:14-15). The wicked, however, are they who reject God’s salvation in Christ and have a different confession of faith than the faith revealed in Holy Scripture (John 8:31-32, 47; 14:23-24; 1 John 5:9-13; 2 John 1:9) . God does not hear the prayers of the unbeliever because they do not pray in faith (Romans 14:3; James 1:6). We make such distinctions because God Himself makes such distinctions. Thus, instead of lumping all people together as having the same God, and praying to Him, we believe God’s Word and therefore, seek to speak the truth of that Word which alone converts souls from death to life. We also humbly pray that the Lord would keep us from arrogance and pride, even as we pray for all people, our nation and ourselves, even concerning the more significant and eternal matters of God’s mercy and forgiveness through His Son, in whose Name God’s people with confidence pray.